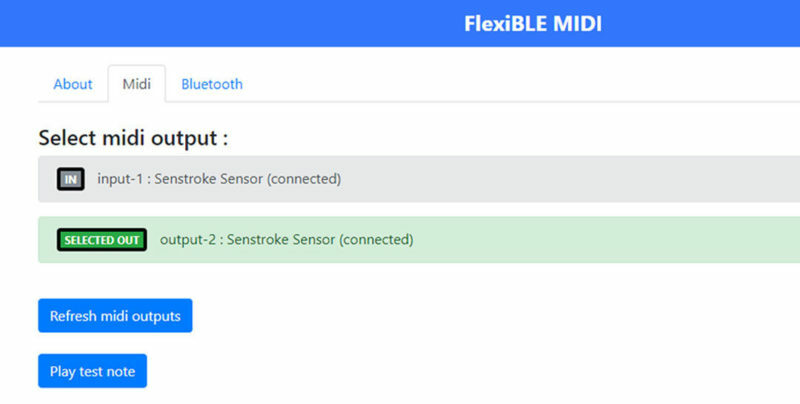 In this tutorial, we will see how to connect Senstroke sensors to Windows 10. We are currently developing a dedicated Senstroke software for Windows, but this solution is also available. As a reminder, Senstroke sensors use MIDI technology, which allows them to be used with all DAW software that accepts MIDI via Bluetooth. Follow the software installation steps. This software is used to create a MIDI port to connect Senstroke sensors to Windows. 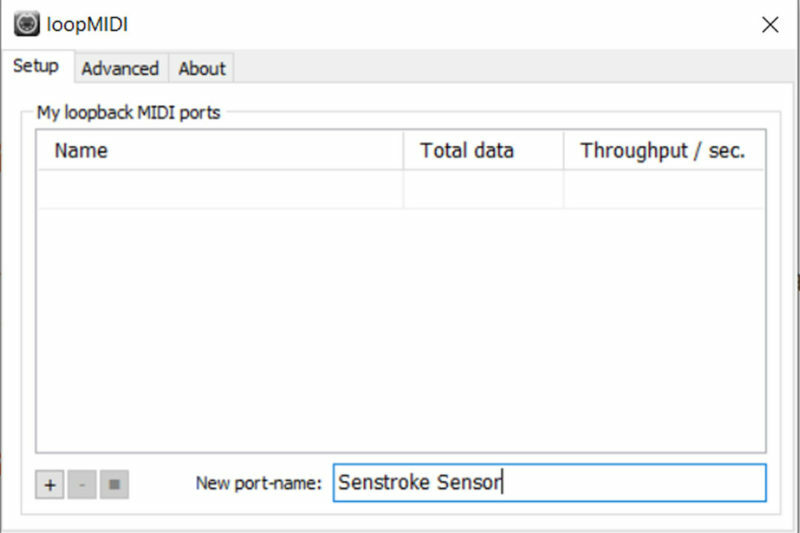 Rename the MIDI port that will be used for the sensors, for example “Senstroke Sensor”. Then click on “Add Port”, l’icône “+” located at the very bottom left of the window. 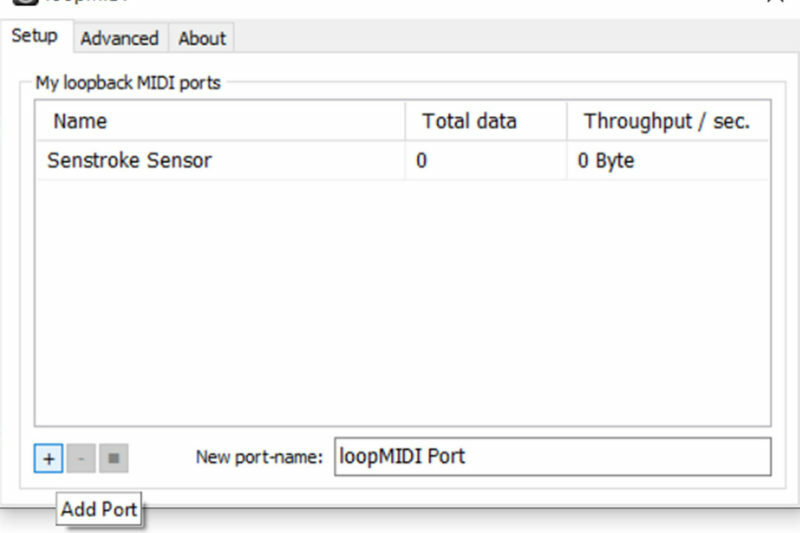 The newly created virtual port then appears in the “My loopback MIDI ports” window. 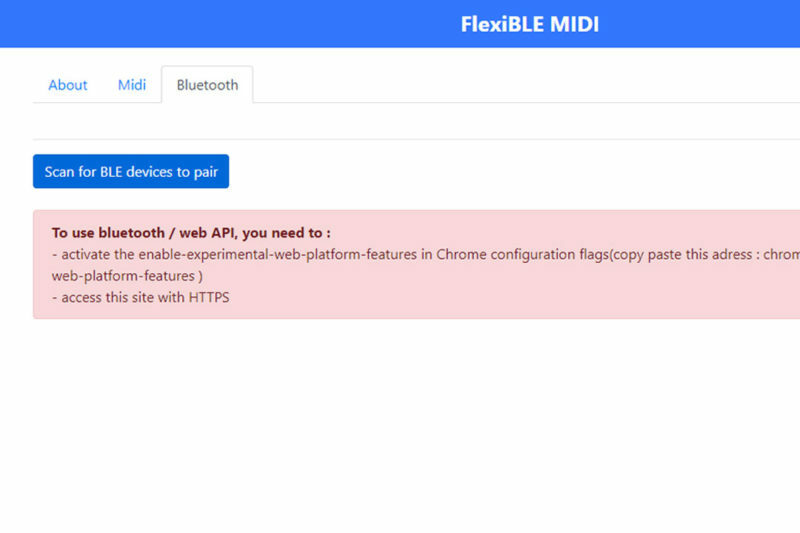 The creation of a single MIDI port is required. There is no need to create more. Go to the Bluetooth tab. Turn on the Senstroke sensors one by one. 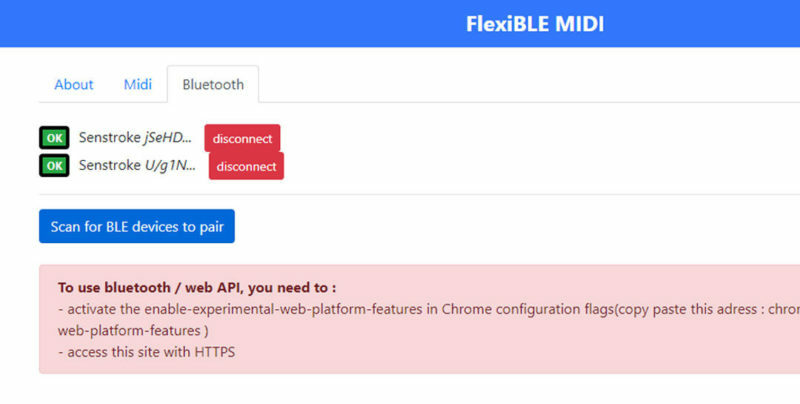 Click on the “Scan for BLE devices to pair” button. A new window listing the available sensors will then appear. Select a sensor and click on “Associate”. Repeat this step for each sensor. Then go to the MIDI tab. The port previously created in LoopMIDI, in this case “Senstroke Sensor”, appears. If not, click on “Refresh MIDI outputs”. Then click on “OUT” in the “Select MIDI output” section to activate the MIDI output. The MIDI output will then turn green. Senstroke sensors are then connected to Windows. 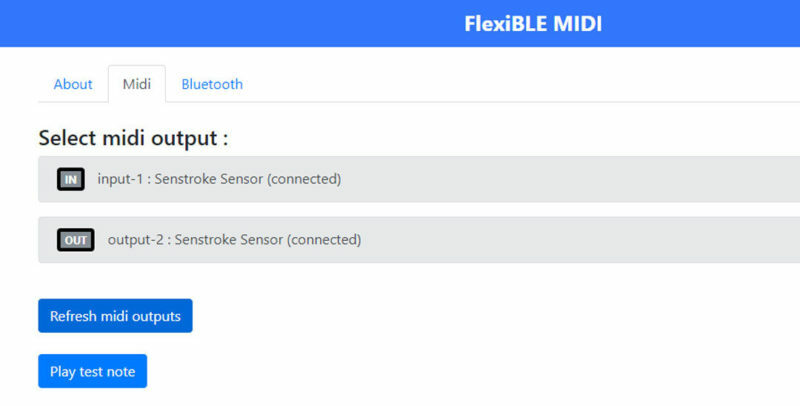 Go to your DAW software and select the created MIDI port (in this example, Senstroke Sensor) as MIDI input in the MIDI device management. The sensors send MIDI notes which are then played through the selected instrument. If you want to play with a configured drum kit, we invite you to read our Senstroke setup guide page.